Measure your pool’s length and width at the maximum water level and then input it into our Online Quotation or Ordering form and we will do the rest. If your pool has steps or a swim out area, measure that separately and we will combine your dimensions to make one, uniform cover. If your pool is not rectangular then simply form the smallest rectangle possible around your pool with a length of rope, tape measure, or something similar and we will use those dimensions to custom make you an appropriately sized cover. If possible send photos if your pool is an unusual shape. 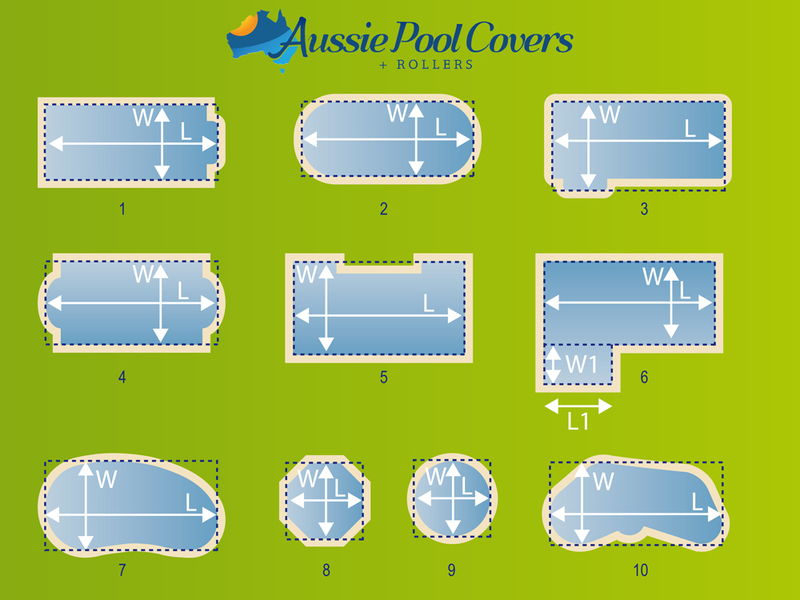 We will deliver the cover in a rectangular shape with enough overhang to each side of the pool above the dimension you provided and it will require cutting to the shape of your pool.